Latin America and the Caribbean are particularly vulnerable to this environmental disaster as the region enjoys one of the highest levels of biodiversity in the world. According to the UN, it has 16 million square kilometers (6.1 million square miles) of sea comprising almost a quarter of the world's fish population. Chile made history on Friday when it became the first country in South America to ban the commercial use of plastic bags. "I want to share with you the joy that as of today we're enacting the law," said President Sebastian Pinera at a public ceremony in the centre of Santiago, after which he handed out cloth bags to passers-by. [post_ads]Large businesses have six months to phase out the use of plastic bags, while smaller ones will be given two years to adopt the new rules. It means that any form of plastic bag other than those constituting primary packaging "necessary for hygiene or to prevent food wastage" are prohibited, the government gazette Diario Oficial said on Friday. Those flouting the ban will be subject to a $370 fine, in a country where the minimum wage is just $800. "Without a doubt we're taking a giant step towards a cleaner Chile," added Pinera. 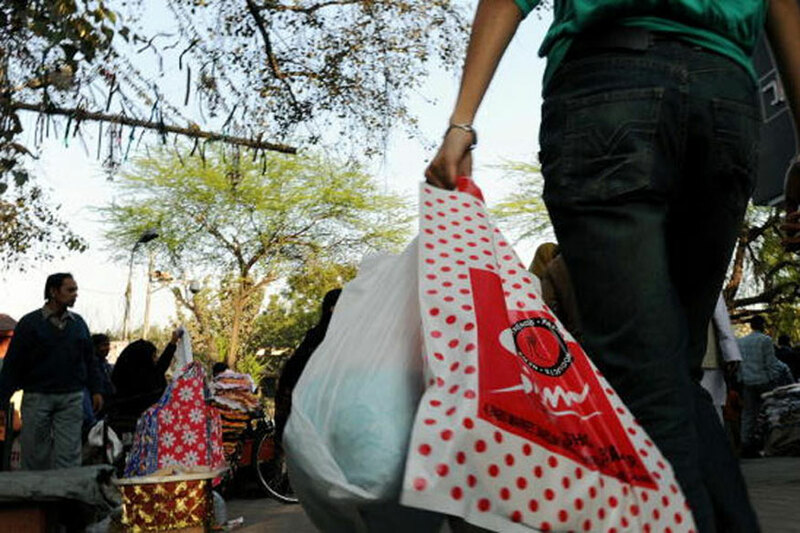 In the meantime, companies will be limited to handing out a maximum of two plastic bags per transaction. The law was passed on June 1 but appealed by the Association of Industrial Plastics, whose objections were rejected by the constitutional court. Chile has been one of the countries leading the way in Latin America against the use of plastic bags. In 2014 the government of Michelle Bachelet banned them in Chilean Patagonia and last year extended that to coastal areas. Chile's problem has reached epic proportions with 3.2 billion plastic bags used every year -- some 200 per person, according to the government. "A plastic bag takes seconds to make, is used for less than half an hour between the supermarket and the home, and then takes 400 years to biodegrade," said Pinera. Some 90 percent of them end up in landfill sites or the sea, where they can be swallowed by birds or fish. The toxic impact of these polyethylene bags on oceans was highlighted recently in Thailand by the death of a whale that had swallowed more than 80 plastic bags. "We cannot continue like this," said Pinera, adding that "nature is suffering the effect of plastic bags." On top of that, only four percent of Chile's 17.5 million people recycle. "What we want to do is very simple: we want to change Chileans' way of life," said Pinera. The Caribbean islands of Antigua and Barbuda were the first country in the region to ban plastic bags in 2016. That same year Colombia prohibited the use of small bags before also placing a tax on the use of bigger ones a year later. Ecuador has moved to restrict the use of plastic bags, straws and bottles around the biosphere reserve of the Galapagos Islands, which are a World Heritage Site. Panama was the first country in Central America to announce a complete ban on plastic bags in January, but it has given businesses up to two years to comply to the new directives. The three biggest cities in Latin America have also taken action, with Mexico City banning the distribution of free bags in 2009. Sao Paulo followed suit in 2015 while Buenos Aires went a step further in January 2017, putting a stop to supermarkets either using or selling such bags. Public and government awareness about the environmental impact of plastics has been increasing. Last year the United Nations passed a resolution, albeit non-binding, to prevent plastics from entering the oceans.